Ejobsitesoftware is a web-based application built on PHP/MySQL/Linux Platform that enables you to quickly deploy a fully functional advanced job board or job site. 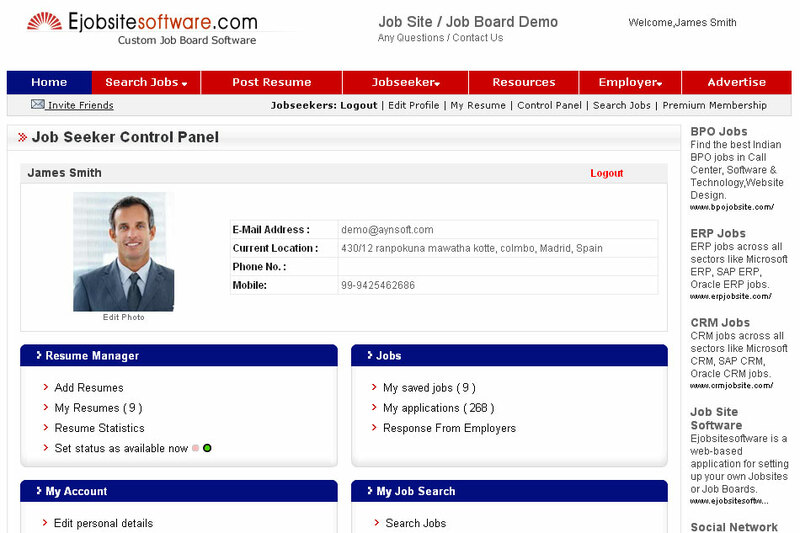 It can be used in setting up niche Job Board for specific countries, regional Job Board or a general Job Board. There is an only one-time fee per server / site for the hosted solution for any number of employers, resumes or job Seekers. We can also undertake additional customizations, resume additions, database conversions, and integration work. Find out how affordable our solutions can be!